Services for Pastor Jerry Wayne Christie, 72 of Bunch, Oklahoma will be at 10:00 AM on Friday, February 8, 2019 at Agent Mallory Martin Chapel in Sallisaw, Oklahoma. Burial will follow at South Bunch Cemetery in Bunch, Oklahoma under the direction of Agent Mallory Martin Funeral Service, Inc. 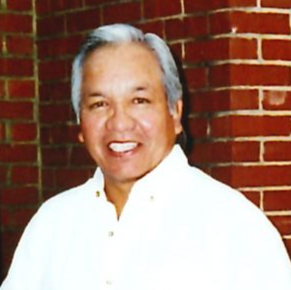 He was born on February 3, 1947 in Tahlequah, Oklahoma to Bessie (Bolin) Christie and Joe T. Christie and passed away on February 4, 2019 in Marble City, Oklahoma. He was married to Lydia Ruth Christie on August 30, 1968 in Stilwell, Oklahoma. Mr. Christie was the Dwight Presbyterian Mission Ground Maintenance Supervisor for 30 years before retiring and a member of Prayer House Holiness Church in Tahlequah, OK.
numerous nieces, nephews and other relatives and friends. Active pallbearers will be David Sanders, Jacob Christie, James Goodrich, Cody Christie, David Belknip and Joe Christie. Honorary pallbearers will be Darren Sanders, Warren Goodrich and Jackie Sanders . Viewing will be noon – 8 pm Wednesday and 10 am – 8 pm Thursday at Agent Mallory Martin Funeral Home in Sallisaw, Ok where the family will greet 6 – 8 pm Thursday.